An organic, all-natural styling product to add gloss, texture, and soft hold to hair. Create touchably tousled or gently spiked looks for short hair. Smooth and nourish long hair, taming frizz and piecing out locks. Finger twist to define curls in wavy or curly hair. Softens hair, washes out easily, and is great for the scalp to boot. Directions: Scrape a very small amount of this super rich product with the back of your thumbnail, and rub between palms or fingertips. Apply to hair and smooth, muss, or form locks. For best hold, apply to damp hair. Gives verticality and structure while benefiting hair health. Really does work beautifully -- a simply perfect, versatile natural solution to hair styling needs. 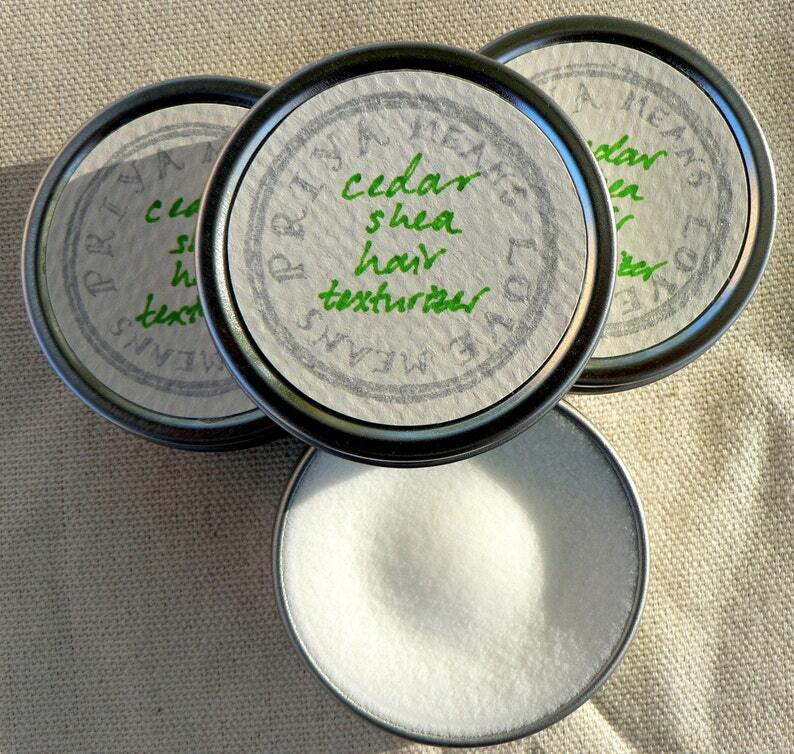 Here's a video of me talking about how to use the Cedar Shea! 1 oz. 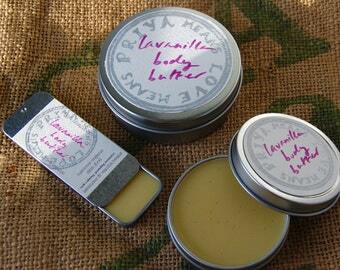 screwtop tin with handmade label and info sheet with full ingredients list. Melt warning! This product will melt at temperatures well above 90 F; don't store this guy in your pocket, and in very hot weather, consider storing in the refrigerator to keep solid. 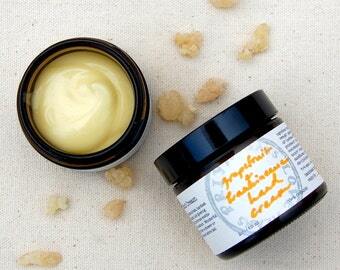 Ingredients: organic shea butter and organic/wildharvested essential oils. Over 95% organic. Always 100% natural. "wow. i can't believe how soft this makes my hair. i have a very short pixie cut and this is my new favorite hair stuff. soft touchable control and doesn't leave you looking greasy. added bonus.... it smells great too!" "Exactly what I was looking for! Perfect for that bed-head messy look!" 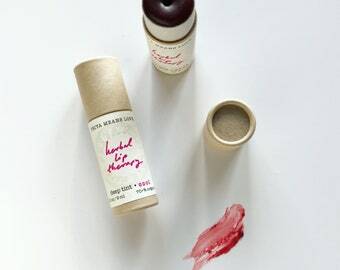 "Smells terrific, and I LOVE the short and all-natural/organic ingredient list." "So glad to have a natural texturizer for my hair! Thanks for a great product!" Cedar Shea Hair Texturizer- This product is amazing! I love the shine and the way it smells! Thank you! Best curly hair product I've found! It's light and doesn't weigh down my curls but holds them and gives great definition! No residue and doesn't irritate my skin! With there was a larger jar! I have been looking for something like this without luck, but I finally found it. Once I receive the product and tried it on my hair, I loved it! It gives volume and does what it say it does. I will definitely be a repeat costumer from now on.